Follow the Lighthouse Keepers’ journey south on our award winning Eco Explorer cruise. 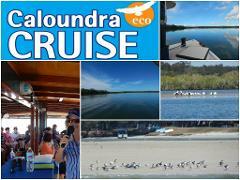 Departing at 09.30am every Thursday, this 2 hr 30 min cruise travels to the very heart of the Pumicestone Passage Marine Park. Your experienced tour guide’s commentary will cover the fascinating history, geography and ecology of this pristine region. 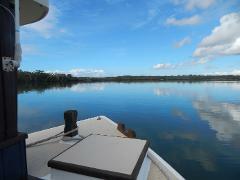 Enjoy our famous Morning Tea whilst anchored at Lighthouse Reach. Binoculars provided and don't forget your camera. Please note: 1. Wheelchair Access. Please give notice so we can rig ramps.